What is #laughteryogawithJoe? What can it do for you? Dr Kataria, founder of Laughter Yoga, calls #laughteryogawithJoe ‘a pioneering approach’ to laughter yoga. This #laughteryogawithJoe approach is the practice of joyfulness. In Douglas Abrams recent book ‘The Book of Joy’ with His Holiness the Dalai Lama and Archbishop Desmond Tutu, reference is made to research by the Institute of Neuroscience and Psychology at the University of Glasgow. This suggests there are only four fundamental emotions of which one is positive – joy. (The other three are fear, anger and sadness). This gives scientific validation, and not just an intuitive feeling, to the value of the practice of joyfulness. #laughteryogawithJoe uses laughter yoga principles and techniques to achieve this. This approach uses laughter yoga creatively and expansively. 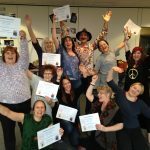 It has the specific and articulated intention of welcoming, encouraging and supporting everybody’s unique abilities as they use laughter yoga on their path to joyfulness. Because it follows principles, it is flexible approach rather than rigid one. It provides a framework, not a formula. It welcomes creativity and spontaneity. It allows, encourages and precipitates natural, spontaneous and joyful expressions of life – which include plenty of laughter. ‘A breath of fresh air in the laughter yoga world’ is how one Laughter Yoga Master Trainer described it recently. Naturally, all emotions are welcome as sometimes there are tears too, tears of release. Laughing and crying are closely relatives on our emotional spectrum. Both have the effect of deepening our breath. 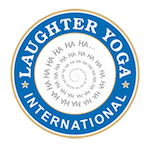 As breathing exercises are central to yoga, even crying becomes yogic – but laughter yoga has much more laughing than crying. In a joyful, expansive and playful environment, these principles lead inevitably and easily to natural, genuine spontaneous laughter. Why? Because they bring us into the ‘Now’ in a good-natured, open-hearted, and embodied way (think: mindfulness). One result is connection, both with ourself and others. With gentle guiding and occasional ‘exercises’, this has the potential to blossom into into a freer, fuller, richer experience of being alive. In other words, more joy. I’d love to hear your own views and feelings and experiences. I always reply to comments here. This entry was posted in Connection, happiness, Laughing Yogi, laughter yoga, mindfulness and tagged connection, depression, Dr Kataria, endorphins, happiness, laughter yoga, mindfulness, resilience, smiling, wellbeing on March 15, 2018 by Joe Hoare. You feel better. ‘I feel better’ is the most common reply I get when I ask people how they feel when they laugh. ‘Feeling better’ is at the heart of our human experience. It is perhaps the most important quality we can experience because when we feel ‘better’, life is ‘better’. Feeling better, in a life-affirming and constructive way, can be achieved even in difficult circumstances. There are many stories of people who managed to laugh and feel better even in life-threatening ones. ‘Man never made any material as resilient as the human spirit’ (Bernard Williams). Laughter yoga practices activate resilience by giving us the means to improve our mood and activate our zest for life at any moment we choose. ‘Vedant has really taken what you said on board and now everyone at our hospice is doing their 15 second smiles morning and evening. You are better. The list of health benefits gets longer every day. These benefits are physical, emotional, psychological and spiritual. In their simplest form, the benefits occur because laughter yoga is a pain-relieving and energising practice. Its wholesome, life-affirming qualities energise us if only because we have more oxygen in our system, and well oxygenated blood is a life-enhancer. The overall cardiovascular benefits underpin our ability to be healthy on many other levels. Our tolerance threshold for physical pain increases as a result of laughter yoga and laughter generally. This benefit spills over to emotional and psychological pain. We benefit because we communicate and connect better with others, and when we replace isolation & loneliness with connection we experience a healthier, happier and longer life. We can all learn to laugh more, and we become measurably better. You do better. Laughter yoga is a mindfulness activity, and consequently we experience the benefits of mindfulness even though we’ve accessed it in a different way. Among the many benefits of mindfulness, and hence laughter yoga, are the ability to prioritise better, think more clearly & calmly, experience less exhaustion and greater job satisfaction. An additional benefit laughter yoga brings to our activities is energy. Because of its core cardiovascular benefits, coupled with the mood enhancement, we have more energy to bring to our activities. This energising aspect inspires and enables us to do better. Whether practiced alone or with a group, these are some of the benefits of laughter yoga. If you have enjoyed this blog, please share it. Thank you. 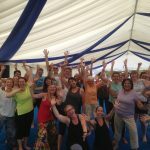 This entry was posted in Action for Happiness, happiness, Laughing Yogi, laughter yoga, mindfulness, nls: natural laughter skills and tagged connection, Dr Kataria, endorphins, happiness, laughter yoga, mindfulness, nls: natural laughter skills, positive psychology, psycho-neuro-immunology, resilience, smiling, stress management, wellbeing on September 8, 2016 by Joe Hoare. Whenever possible, whatever you’re doing, do it with a smile. This simple-but-not-easy practice is the antidote to over-seriousness. Who needs over-seriousness? It is not only a joy-killer, it hampers our communication, how we connect with others and limits our effectiveness. It tends to creep up on us, and makes us stressed, anxious and even depressed. If nothing else, over-seriousness limits our enjoyment, whether at work, home and in life. Besides Eeyores, who consciously chooses not to enjoy their life? When we develop a smiling mindset, we enjoy life more. We find more enjoyment everywhere – at our desk, at our computer, with colleagues, while travelling, even in meetings. This simple benefit that we enjoy life more is good enough reason for many people to develop their smiling mindset and smile more. In this vein, beware of Botox! When we limit our facial expressiveness with anti-wrinkle treatments, we might also be limiting our happiness. Smiling improves our mood, eases our stress, and makes us happier. It is also good for our health as it tends to lower our blood pressure. We think, focus and concentrate better. The list of benefits goes on and on. While it is true that smiling is contagious, so are good vibes. The smiling mindset is an attitude and it can be learnt. More importantly, it can be felt, and so it flows naturally into a mood and energetic communication. The key to this attitude is to soften the muscles around our eyes (orbicularis occuli), the muscles that we use in a genuine (‘Duchenne’) smile. When we relax these muscles our whole face softens, we promote facial expressiveness and so communicate more authentically, and we naturally & genuinely build positive emotions in ourselves and others. It is a simple yet profound practice, like mindfulness. It is a natural antidote to stress, anxiety and more, also like mindfulness. It is also inherently enjoyable. You can activate yours while sitting, running, walking, driving, waiting – wherever you are and whatever you’re doing. Use the power of your mind. Think ‘smile’ to yourself. Loosen up your body, and send it ‘relax’ messages. Start to move and swing your arms. Get up and stretch. Be as physical as you can. The saying from Dr Kataria and laughter yoga is ‘motion creates emotion’ so use all the resources available to you, and this includes your body. While doing all this, smile. In particular, feel the quality of your smile from the inside out, your inner smile. Keep your face soft. Twinkle. Allow any feelings of good-natured enjoyment to arise, and welcome them. Allow all feelings to arise, be aware/mindful of them and welcome them – just keep the inner smile attitude going. Make this a daily practice. Do it several times a day. Do it as often as possible. Keep practicing, diligently. This can change your life. This entry was posted in Action for Happiness, depression, happiness, Laughing Buddha, Laughing Yogi, laughter yoga, psychology, smiling, stress and tagged anxiety, connection, depression, Dr Kataria, happiness, Laughing Buddha, laughter yoga, mindfulness, positive psychology, smiling, stress, wellbeing on May 21, 2015 by Joe Hoare. ‘When I’m unhappy, stressed, or depressed, sometimes the last thing I feel like doing is laughing – can I really laugh myself into a better mood?’This is a common laughter yoga, nls: natural laughter skills, and laughter meditation question. The psychologist William James observed ‘We don’t laugh because we’re happy, we’re happy because we laugh’. But does laughing always make us happier? Willingness empowers every stress-busting, mood-lifting activity we undertake. Particularly when combined with mindfulness, willingness can break us free of anxiety and even depression. The impact and benefit can be long-lasting. We can become happier. To activate our willingness, one way is to use the inner smile, a classic Taoist/Zen as well as mindfulness-based stress-busting technique. How do we activate it? Laugh: use the power of your mind to bring some pleasant, happy thought or memory into your awareness and have a quiet chuckle. This and other exercises are in the book ‘Awakening the Laughing Buddha within’, co-authored with the Barefoot Doctor. As ever, the more you use this practice, the better it works, because you’re learning new habits. You’re harnessing your brain’s neuroplasticity, its ability to create new neural pathways. You are increasing grey matter concentration within specific areas of your brain which are involved in learning & memory, emotion regulation, sense of self, and re-assessing perspective. All you need is willingness, and yes, you can laugh yourself happier. People do all the time. This why Dr Kataria, founder of laughter yoga, says: ‘it’s time to take laughter seriously’. This entry was posted in Action for Happiness, anxiety, depression, happiness, Laughing Buddha, laughter, laughter yoga, meditation, mindfulness, nls: natural laughter skills, smiling, stress and tagged anxiety, Barefoot Doctor, Dr Kataria, endorphins, happiness, Laughing Buddha, laughing yogi, laughter, laughter meditation, laughter the best medicine, laughter yoga, mindfulness, nls: natural laughter skills, positive psychology, psychology, smiling, stress, stress management, Taoists, wellbeing on June 20, 2014 by Joe Hoare. The laugh at the end of the tunnel. The revolution is underway. It’s on television. It’s on the radio. It’s in social media. It’s happening. Yes, every day, people are being ‘turned’ by the healing power of laughter. It’s a revolution because through nls: natural laughter skills, laughter yoga, the healing power of laughter and others, laughter is being explored like yoga and meditation. 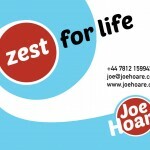 It is being explored as a way of promoting your own health, wellbeing and happiness. Laughter used to be viewed to something that only happened when something was funny – so, nothing funny, no laughter. How sad was that? There can be long pauses between funninesses, long no-laughing gaps. How depressing. This started to change big time in the 1970’s after Norman Cousins’ experiences (‘Anatomy of an Illness’) when he laughter himself well. The change speeded up from the mid 1990’s when Dr Kataria started Laughter Yoga. The impetus is gathering all the time – laughter is good for your health. Laughter is especially good for your spiritual health. It liberates your consciousness, opens your heart, helps you connect and communicate better – in short, it connects you with your innate joyfulness. Your laughter becomes not the destination but your way of travelling. Taoists call this ‘laughter readiness’, ready at a moment’s notice to roar with laughter at the absurdity and ridiculousness of life, and the perfect counterpoint to crying about it? – You can train yourself to laugh more. – The more you laugh, the more things you find to laugh about. – The more you laugh, the funnier life gets. – The more you laugh, the happier you become. ‘We don’t laugh because we’re happy, we’re happy because we laugh’ observed the psychologist William James. It’s a fine way of travelling. Happy travels to you all. This entry was posted in anxiety, depression, happiness, Laughing Buddha, Laughing Yogi, laughter, laughter therapy, laughter yoga, nls: natural laughter skills, smiling and tagged Anatomy of an Illness, Dr Kataria, happiness, joyfulness, laughter meditation, laughter readiness, laughter the best medicine, laughter therapy, laughter yoga, nls: natural laughter skills, Norman Cousins, psychology, spiritual health, spirituality, Taoists, wellbeing on November 25, 2013 by Joe Hoare.